Vodafone announced they have signed an agreement with Apple to sell the controversial handset in as many as 10 countries where Voda have coverage. Those countries include Australia, the Czech Republic, Egypt, Greece, Italy, India, Portugal, New Zealand, South Africa and Turkey. No word on Spain yet - one the few large European countries that are still not getting an official carrier for the iPhone. May be it's not Vodafone that's going to offer the iPhone there. You've probably already heard that Canada will also be having the iPhone through Rogers - so this all sounds like a major expansion for the device is being planned out. As major as this news is, it took the Vodafone PR team not one but a total of two sentences to announce the news - no specifics about a release date or pricing are available yet. 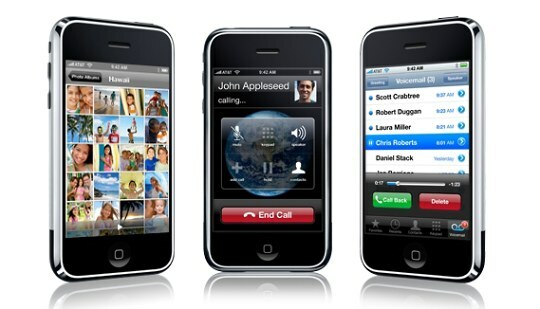 Our guess is - we will get more info once the rumored 3G iPhone is finally announced in mid-June 2008.